Some of you will have heard the sad news about the recent death of Ian McNaughton. 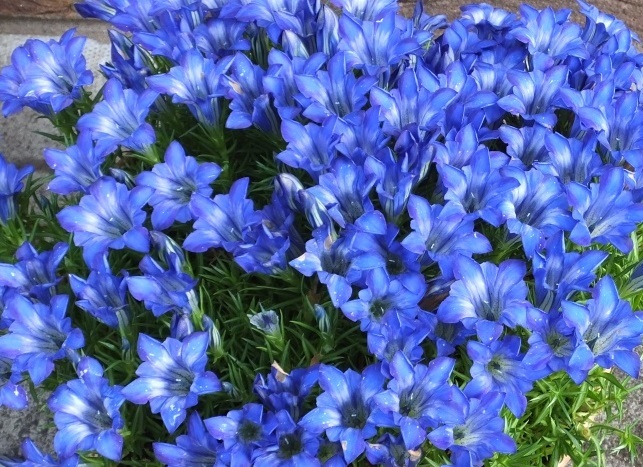 Ian will be best known to Caley members for his work in breeding new cultivars of the autumn gentians. One of the best is ‘The Caley’, developed to celebrate the Society’s bicentenary, and at its best in October to coincide with the start of The Caley winter lecture programme. It has already won a Forrest medal from the Scottish Rock Garden Club and an RHS preliminary merit certificate. Ian was awarded the Dr Patrick Neil Medal by the Caley in 2006 for his considerable contributions to Scottish horticulture. Many may not be aware of Ian’s career as a scientist and plant breeder working on and developing agricultural forage Brassica at the Scottish Plant Breeding Centre at Pentlandfield, Midlothian. 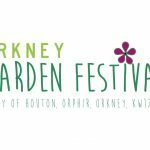 Anyone who grows hardy plants in Scotland will be aware of the great range available at Macplants nursery. 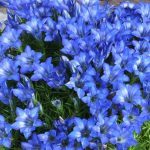 Other notable gentian introductions include ‘Balmoral’ and ‘Braemar’, which move the flowering season earlier; the dark, almost purple, ‘Troon’ and the clear white cultivar ‘Oban’. ‘Tynebank Glory’ commemorates the garden he and Beryl created at Spilmersford on the bank of the East Lothian Tyne. 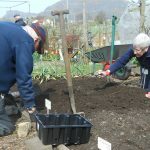 Latterly, his eyesight deteriorated but his mind remained sharp and visitors to Tynebank continued to be entertained by his knowledge of the plants in the garden even though he could no longer see them. 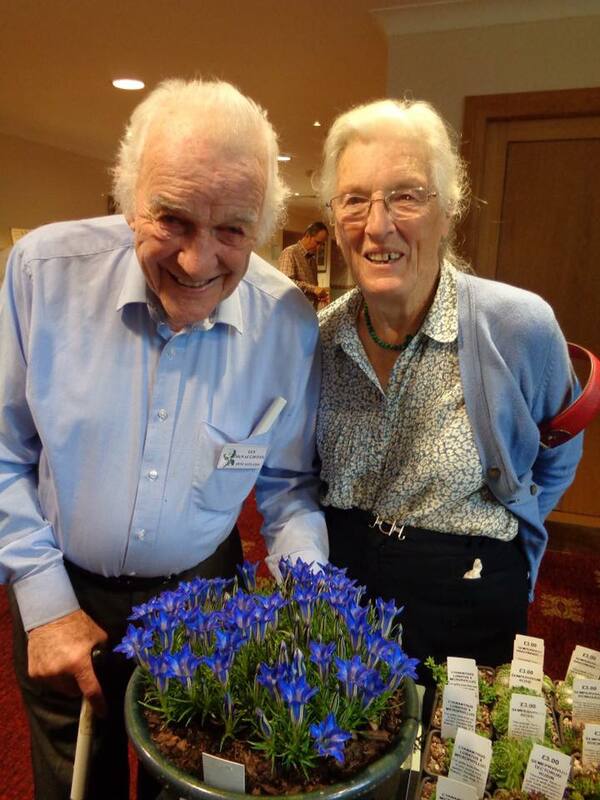 At snowdrop time earlier this spring he enjoyed the scent of the blooms Beryl brought in from the garden before telling visitors all about the history and genetics of the different forms. Ian was a lovely man who will be sadly missed. A service of remembrance will be held in Gifford on Friday 26th April at 11.30am followed by a reception in the village.